Why settle for a stomp box that will give you only one Flange tone? 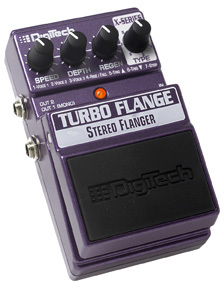 You want options and DigiTech delivers them! 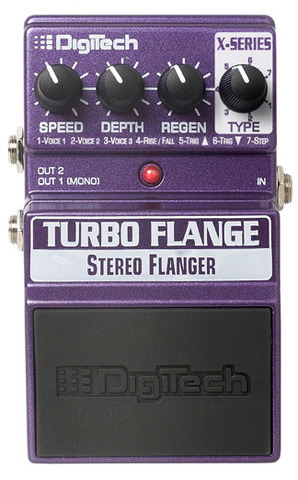 The X-Series Turbo Flange gives you an incredible total of 7 Flange effects to choose from! Whether you want the classic Flange tone with 3 voices to choose from, triggered, step, or the constant rise/fall sound; you will have it all in one convenient stomp box.